Welcome to the world of real estate video marketing with the International Leader in Real Estate Listing Video Marketing with professional real estate clients throughout North America – US and Canada, Australia, Bahamas, Costa Rica and Mexico. 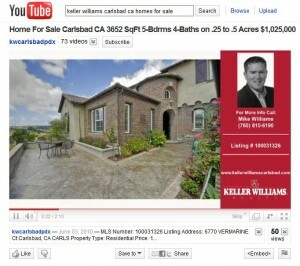 Most virtual tour companies post your real estate video tours on You Tube. 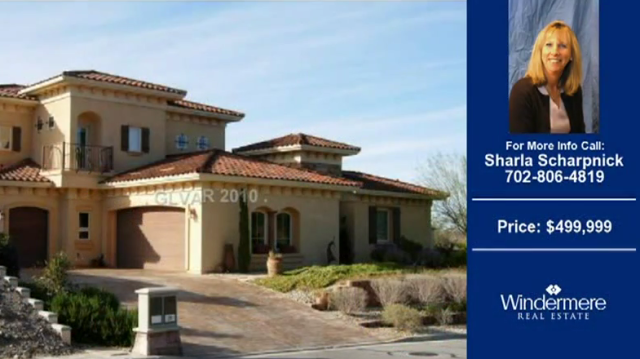 At Tech Media Marketing, Inc. we have integrated our years of experience in internet marketing and search engine optimization with the latest technology in video marketing to create a complete listing video marketing system that automatically creates and distributes real estate listing videos across the web. 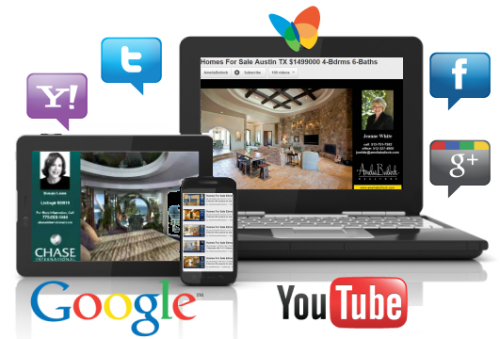 Our superior Video SEO (Video Search Engine Optimization) will help your real estate office listings dominate YouTube and Google Video searches in your local real estate market. View example real estate listing video below. Here are a few interesting statistics and industry facts about the video marketing industry and video in relation to SEO. Have you seen the recent statistics for Online Video Viewing? 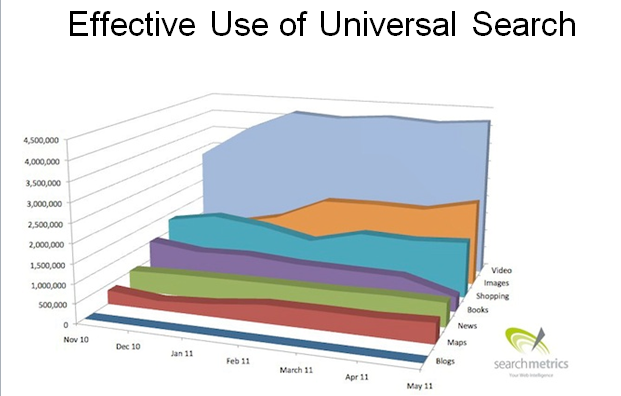 According to comScore 43.5 Billion Videos were viewed online in the US in Dec.. 2011! 182 Million U.S. Internet Viewers watched video online in Dec 2011 at an average of 23.2 hours per viewer. That’s alot of people spending alot of time online viewing video! In Dec 2010, 172 Million US Internet users watched online video content for an AVERAGE of 14.6 hours per viewer. In the past year video viewers has increased 5.8 percent but the overall time spent viewing videos increased 58.9 percent! Google is the # 1 Search Engine. YouTube is the #2 Search Engine. Google owns YouTube. The Top 3 Growth areas of the Internet are Video, Social Media Networking and Mobile Marketing. Video currently accounts for almost 50 Percent of the time people spend on the internet. This is expected to grow to 90 Percent in 2013. Companies that dominate video marketing will dominate internet marketing and lead generation for their business in their local market. 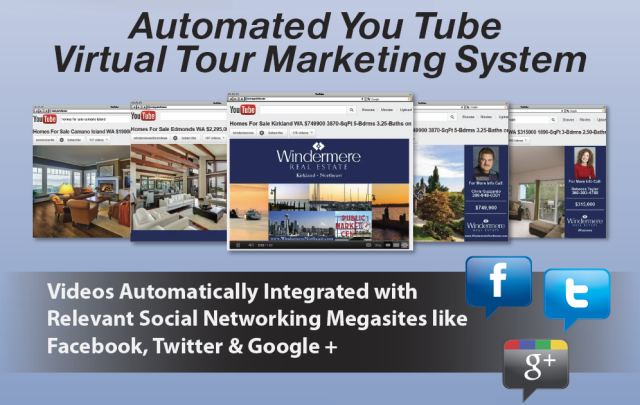 Our Automated Listing Video Marketing System not only Dominates YouTube and Google Videos it automatically integrates with Social Media and Mobile Media Marketing. 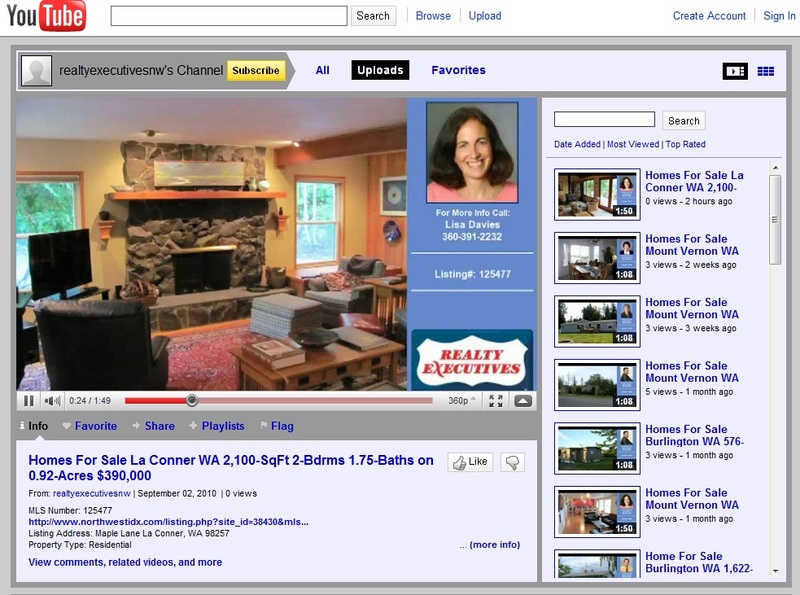 Every listing video is Optimized for homes for sale and real estate in the city the home is located in. 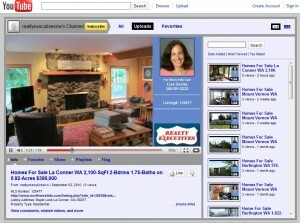 The listing video is also posted on your office facebook page, twitter acct and other social media. With our Mobile Media Package every listing video receives a Listing Web Page branded to the office and listing agent, and a QR (Quick Response) Code and Text Marketing Code. Video is the preferred format of viewing information on mobile devices. 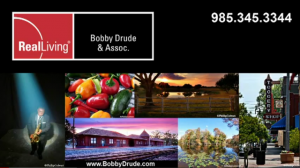 Our QR Codes and Text Marketing Codes can be used on flyers, sign hangers etc… They link back to the Mobile Listing Webpage with the listing video embedded. Who wants to scroll and read on a mobile device when they can watch and listen? 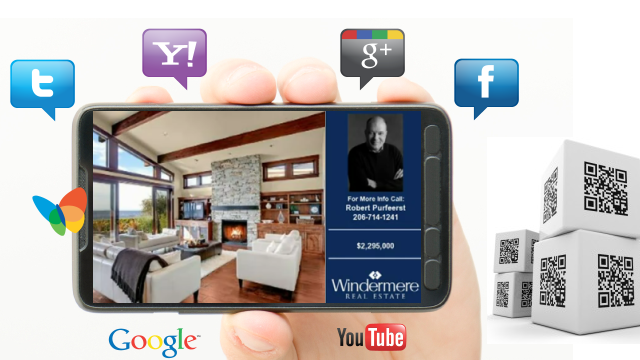 With the Text Marketing System when someone texts for more information on a listing they receive a text back with a link to the listing webpage and listing video. The Listing agent receives an email with the phone # of the person who is standing in front of one of the homes they have listed for sale. 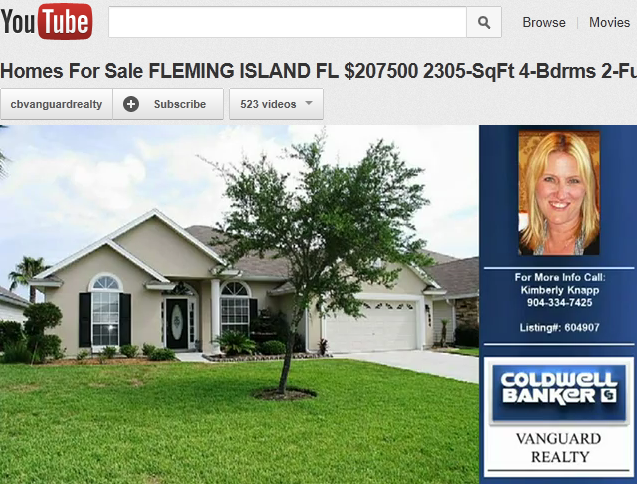 Our YouTube Statistics show that 30 % of our listing video marketing client’s videos are viewed on Mobile Devices. How utilizing video can help with website SEO. According to Search Metrics – Google’s PANDA Rules for Universal Search Video is now the # 1 Strategy for increasing the SEO value of your website. There are several ways to integrate your listing videos into your website. 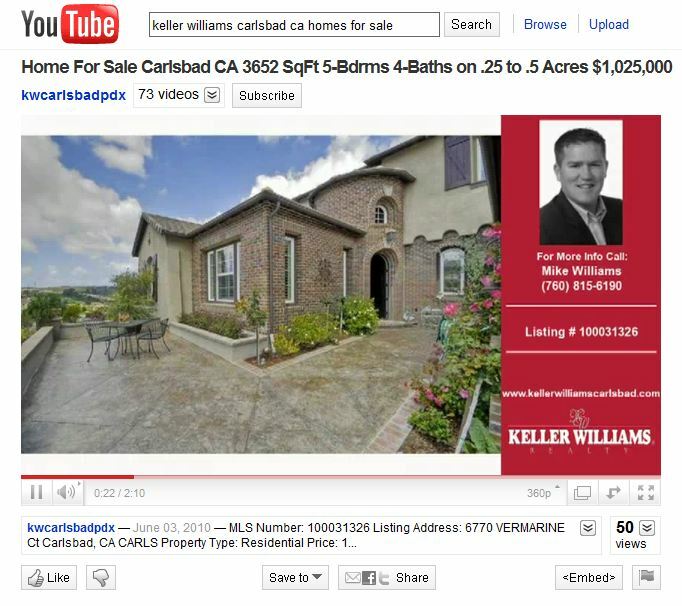 You can embed individual listing videos into your website this is a great tool for agents trying to SEO their individual agent sites or blog sites. We can provide, for FREE a data feed of all your office listing videos to your website vendor for them to embed every listing video into your office website idx property detail page. This will have an immense impact on your website SEO provided your idx pages are a sub domain of your main domain name. We can work with you and your website / IDX provider to accomplish this. It is included in our service. Your competitors have not figured this out yet and we can help create a huge internet marketing advantage for you in your area. 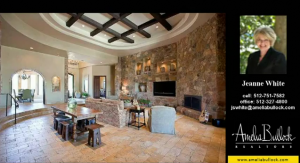 Our listing video marketing system is by far the best return you’ll ever receive for your internet marketing dollars. Benefits of Tech Media Marketing Inc.
Give us a call at 425.835.2404 for a FREE consultation or Fill Out The Contact Us Form to receive your FREE – Top 10 Internet Marketing Tips for 2012!